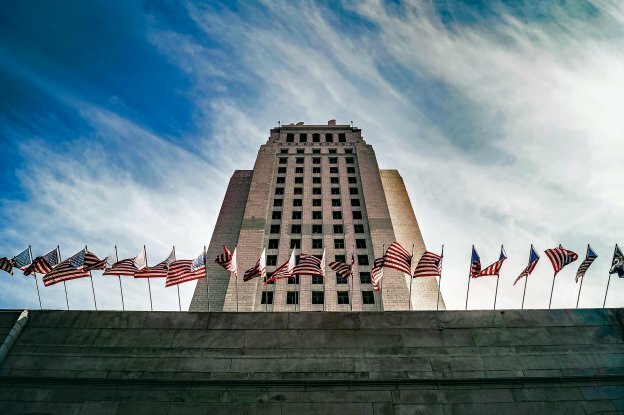 Yesterday the LA City Council passed three ordinances that will regulate recreational cannabis sales, manufacturing, cultivation, distribution, delivery, and microbusiness in the city of LA. The council also voted on the Social Equity Program and cannabis zoning, including the setbacks from sensitive-use areas that will be required of licensed cannabis businesses. Volatile cannabis manufacturers, for example, will have to be not only 600 feet away from schools, but also at least 200 feet away from any residential parcel. 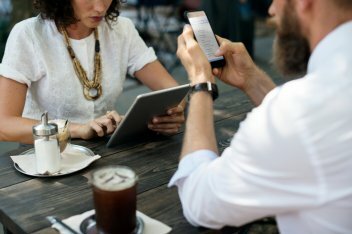 The city is also imposing caps on the number of licenses granted per neighborhood, so licensing will be a competitive process in some areas; if you haven’t already, now is the time to start preparing your cannabis business for licensure. The city has rigorous requirements for proof of operation in compliance with Prop D if your business is a pre-ICO, as well as strict safety and environmental regulations for marijuana cultivators and manufacturers. If you are a cannabis operator with an existing marijuana business in the city of LA, email us at info@margolinlawrence.com to speak with one of our cannabis attorneys. 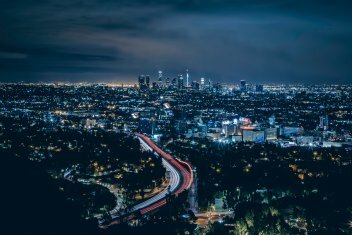 We can advise you on the next steps for your operation as Los Angeles enters a new era for cannabis. Today the LA City Council will vote to determine all of the City's. the city's new restrictions on where a cannabis business may be located. The current California cannabis law requires that cannabis businesses be located more than 600 feet from all schools. 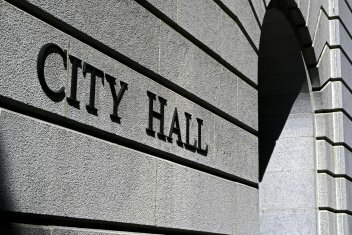 On top of that, LA's most recent draft of its location ordinance required businesses intending to conduct on-site retail sales to be located 750 feet away from sensitive-use areas, including schools, public parks, libraries, and drug treatment facilities, as well as any existing marijuana retail business. While this is a more lenient approach to sensitive-use areas than LA's previous zoning restrictions, which called for an 800-foot buffer zone, some cannabis businesses and marijuana advocates, including our Los Angeles Cannabis lawyers, argue that introducing two different distancing standards will only complicate the already-opaque standards for marijuana zoning. The City Council's vote will take place at 10 A.M. tomorrow, December 5th, at 200 N. Spring St. 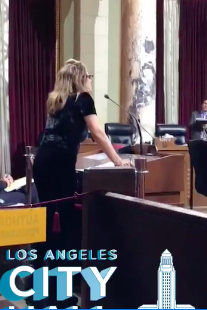 Yesterday, the Los Angeles City Council met to discuss cannabis issues before voting on the final ordinance next month. Our Los Angeles Cannabis attorneys were present and are closely following developments on the path to a final LA Cannabis Ordinance and Social Equity Program. Broadly, the Los Angeles Social Equity Program aims to prioritize applicants who were disproportionately impacted by the war on drugs and criminalization of cannabis, and give them an opportunity to participate in the now legal, newly regulated market. The discussion yesterday centered around the social equity program and the tier system, which establishes priority to individuals with a criminal history. The social equity program will benefit disadvantaged communities. As a reminder, Tier 1 applicants are those who have a prior cannabis related conviction, a cumulative household income below the federal poverty line and have at least five years residence in an area impacted by the War on Drugs. So the question becomes, should priority be given to individuals with a criminal history? Opinions were heard on both sides of the controversial issue. The purpose of the social equity program is to help remove barriers for persons with a criminal history to equitable ownership and employment opportunities. Concerns were raised the criteria for Tier 1 was limited to cannabis only related crimes. The LA Dept. of Cannabis Regulation reasoned the purpose is to provide legitimate business opportunities in a now legalized industry. Oppositions were raised that the tier system did not distinguish between the level of offense such as, a misdemeanor or felony and excludes low income neighborhoods not impacted by the War on Drugs. This suggests person(s) convicted of a minor cannabis crime will have priority over person(s) who have been established in a disproportionately impacted community for many years. Recommendations were made to the Dept. of Cannabis Regulation to define distinct requirements to qualify as a Tier 1 applicant. For more information on the social equity program click here. of your business is compliant with the land use ordinance. The vote is next week so make your voice heard and submit your comments to the City Council by December 4th. If you have questions about the Social Equity Program or the new zoning changes, to speak with one of our Los Angeles Cannabis Attorneys. As we approach the Thanksgiving holiday, Los Angeles is one step closer to cannabis licensing. 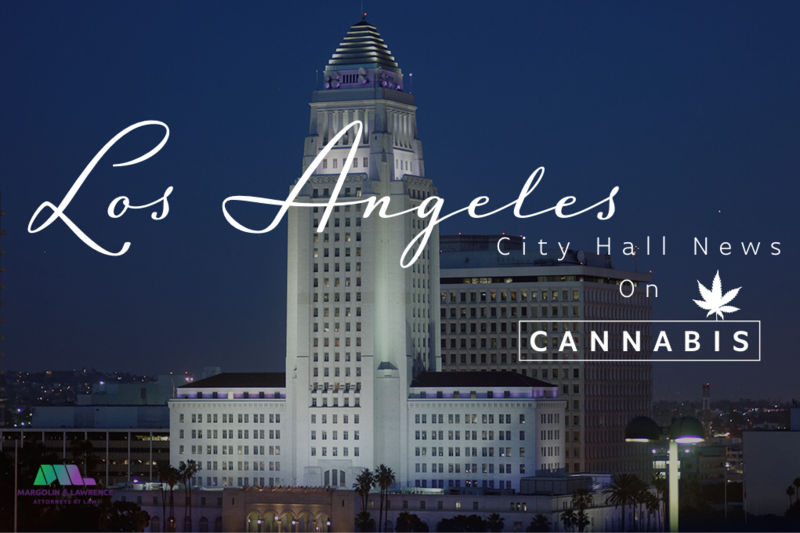 Here is the latest from our Los Angeles cannabis attorneys who attended today's City Council meeting. Today the Council further discussed the Social Equity Program and the 4 Tiers of priority that will be given to eligible applicants. 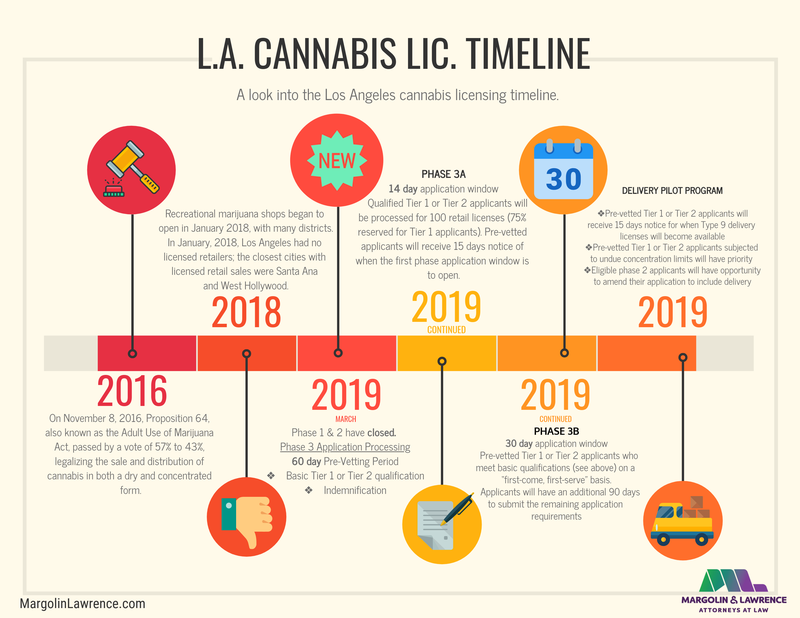 Tier 1 will get the highest priority for Los Angeles cannabis licensing (after Measure M Retail priority which you can read more about here), and Tier 4 will get the lowest of the Social Equity applicants. Today, California’s three state cannabis licensing authorities released proposed emergency licensing regulations for commercial medicinal and adult-use cannabis. 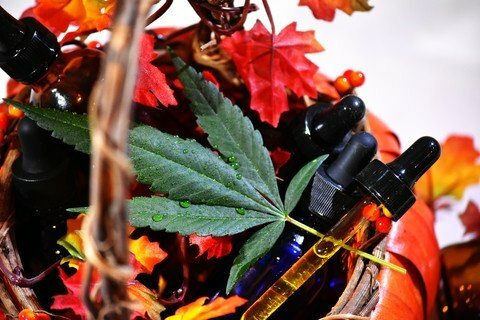 The regulations are intended to reflect the law that was set out in California’s Medicinal and Adult-Use Cannabis Regulation and Safety Act (MAUCRSA), and will replace the draft regulations that were released for cannabis cultivation, manufacturing, retail and other activities in April 2017 (you can read more about the prior regulations in our post here). These regulations will allow the state to start issuing temporary licenses to conduct commercial cannabis activities on January 1. Our San Francisco and Los Angeles cannabis attorneys are analyzing the new regulations and comparing them to the previous draft and we will do a more in depth post on what has changed very soon. With Los Angeles on the verge of rolling out new licensing for marijuana businesses, many businesses, both preexisting and new, are wondering what the City's procedure will be. The plethora of meetings and details surrounding the subject might seem daunting, especially since the City has not specified or solidified many aspects of the program. With the January deadline closing in, the City is expected to resolve these discrepancies as clearly as possible before 2018. So what do we know about cannabis licensing? Right now, what we have to go on is the Draft Requirements for Commercial Cannabis Activity published on September 22nd, as well as the Cannabis Social Equity Report published on October 18th. Additionally, a motion on the subject was released on October 31st. 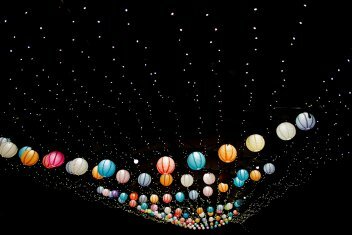 Although these are all drafts and have not yet been approved, this blog post will attempt to clarify what we know so far. Applicants for Proposition M Priority Processing can only apply for Retailer Commercial Cannabis Activity (including delivery.) This may include on-site cultivation, as allowed by Prop D. Once applications become available, any business that wants to apply for Prop M Priority Processing must apply within 60 days of when the application period is opened. Each Prop M Priority Processing candidate will receive a provisional license once the department has approved its eligibility. If it is not eligible, it must cease all business and reapply under the general processing phase. If it is eligible, then the business will receive a provisional license, granting it limited immunity to operate until its full license is approved or denied by the Commission. In order to receive a permanent license, a Prop M Priority candidate must be approved and provide financial statements proving the business is clear of any tax obligations. The motion passed on October 31st provides a path for priority licensing for "All applicants that were conducting non-retail Businesses in the City of Los Angeles prior to January 1, 2016" and meet various other requirements, including qualifying for the Social Equity Program. Businesses have 15 business days to apply for priority after the applications become available. Businesses must prove that they provided product to Prop D compliant dispensaries and were in business before January 1, 2016. Moreover, all taxes should be paid. Tier 4 applicants would potentially include market-rate applicants that provide space, capital or other means of support to a Program participant and those who do not have sufficient floor space or eligible zoning to provide on-site support to a Program partner under the incubator partner program. In lieu of a direct incubator program partnership with a Program, potential Tier 4 applicants could provide business mentoring, training workshops, other non-financial contributions to Program applicants or make direct financial contributions to the Community Reinvestment or Industry Ownership Funds. In other words, Tier 4 applicants under the Social Equity program must either provide space, capital, or time in order to benefit from priority processing. This phase is perhaps the City's attempt to incentivize existing businesses to partake in the Social Equity program. New businesses can also apply for the Social Equity program. Indeed, the program is geared towards recruiting low-income and otherwise underprivileged entrepreneurs. Tier 1, 2, and 3 applicants are low-income Los Angeles City residents. They will have access to loans, training, and help in managing their business. 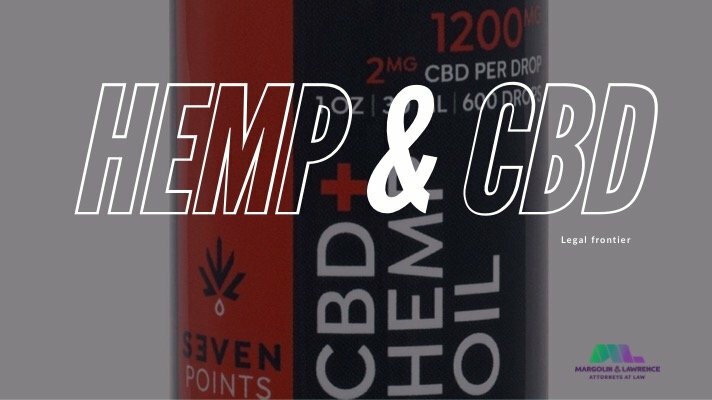 This is ideal for a low-income individual with a solid plan for a cannabis business. For an existing business with an operation that isn't older than January 2016, it is also possible to apply for the Social Equity program. However, this does not necessarily include a provisional license. The report does not make clear whether or not existing retail businesses after January 2016 would be eligible for the program. Moreover, membership in the program is at the "discretion of the Executive Director of the Department of Cannabis Regulation and the Cannabis Re gulation Commission. " Finally, there is the General Processing phase. 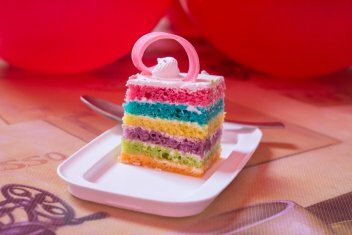 This is the phase in which all business who do not qualify for the other phases will apply. The City has not released information on this processing. Furthermore, there are no provisional licenses or limited immunity available for these types of applicants. That means that if you are a business operating now and do not qualify under Prop M or Social Equity, you must shut down operation until all licenses have been either approved or denied. It is an exciting time for California and for the City of Los Angeles. As the January deadline inches closer and closer, it is important to keep track of all new drafts and measures adopted by the City in regards to the application process. For more information on LA cannabis laws, check our FAQ or contact our cannabis attorneys at info@margolinlawrence.com. 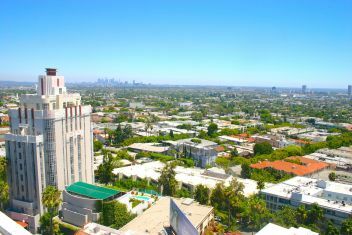 Ask an LA Cannabis Attorney: So What's Happening in WeHo? 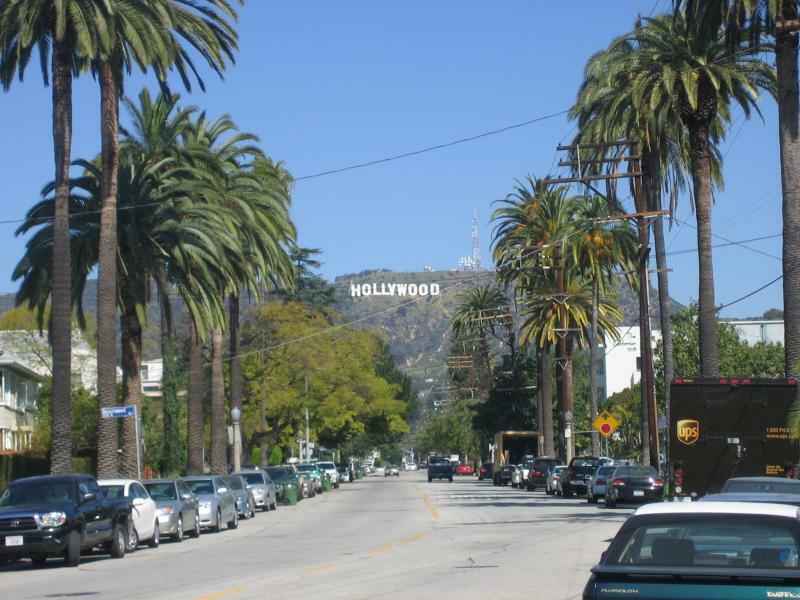 On November 5th, the City Council of West Hollywood put an end to a long period of speculation about the future legal status of cannabis in their jurisdiction, moving to allow recreational and medical marijuana dispensaries, delivery services. In particular, the WeHo City Council approved of allocating 8 licenses per type of cannabis activity (Adult-Use retail, Consumption Areas with On-Site Adult-Use retail, Delivery Services, and Medical-Use dispensary,) and confirmed this decision on the morning of November 8th. These activity types are of interest in themselves: Allowing retail spaces to provide an area for on-site consumption means WeHo might soon be the home of hip, Amsterdam-style marijuana cafés. While this explains quite a bit about West Hollywood's approach, some aspects of the city's regulations remain unclear. For instance, the exact selection process for the 8 licenses per activity has not been decided by the City Council. Moreover, the zoning regulations for marijuana businesses have also not been finalized by the city. To address these questions, the City Council of West Hollywood will meet again on November 20th to discuss zones and grading criteria for licenses. The City Council has given itself a deadline of December 6th to resolve these issues, which it hopes to meet before the new laws come into effect on January 1st. As it stands, what our cannabis lawyers know about the future process for license application selection is as follows: The top eight applications will be issued licenses based on merit. Some of the criteria in consideration for "merit" will include compliance with the city's social equity program, operating a pre-existing cannabis business that's in good standing in WeHo, or previous experience with a cannabis business elsewhere in the state. Again, these criteria have been merely discussed and not approved. Once the criteria are fixed, the city will essentially grade each application based on the standards they establish. Since relatively few licenses will be granted, it is imperative for any marijuana business applicant in West Hollywood to not only meet the criteria set out by City Council, but also to provide adequate reasoning for why its merits qualify it to be chosen over the other applicants. 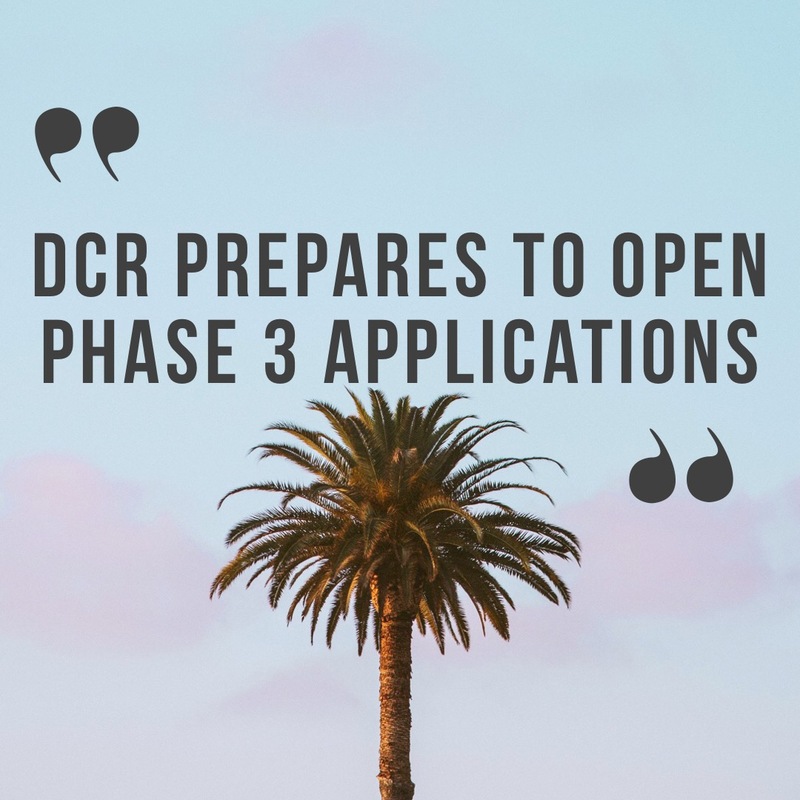 The application period will be open in January 2018 for a period of 30 days; since the timeframe is so short, if you're interested in starting a cannabis business in WeHo, it's important to get started on the application process now. For more information or to set up a consultation with our Los Angeles cannabis lawyers, take a look at our guide to California's new marijuana laws or email us at info@margolinlawrence.com. How Many Los Angeles Cannabis Licenses Will Be Issued? Last week, our Los Angeles cannabis attorneys were at the City Council meeting where the Council moved to amend the Draft Regulations that were previously released on September 22, 2017. 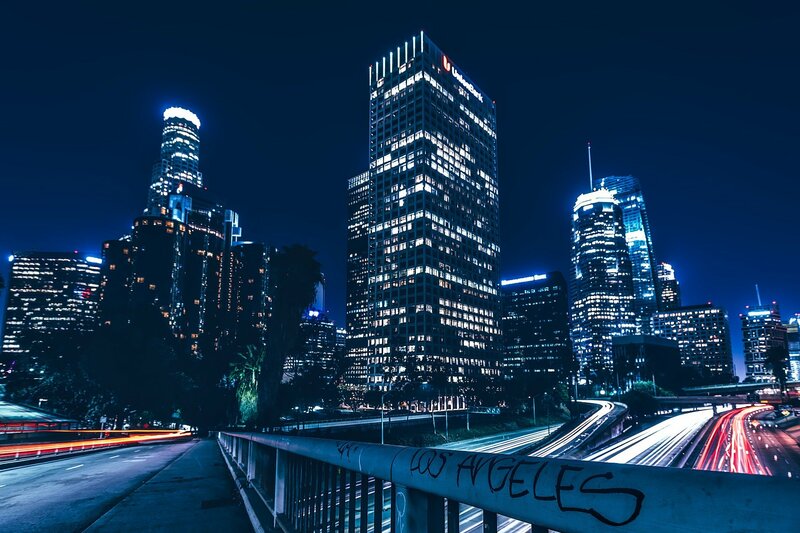 The Los Angeles City Council moved to amend the Draft Regulations released on 9-22-2017 to include a motion that will allow cannabis operators who meet certain requirements to remain open if they file for limited immunity within 15 days of applications opening. You can read more about the Draft Regulations from September in our previous posts here and here.